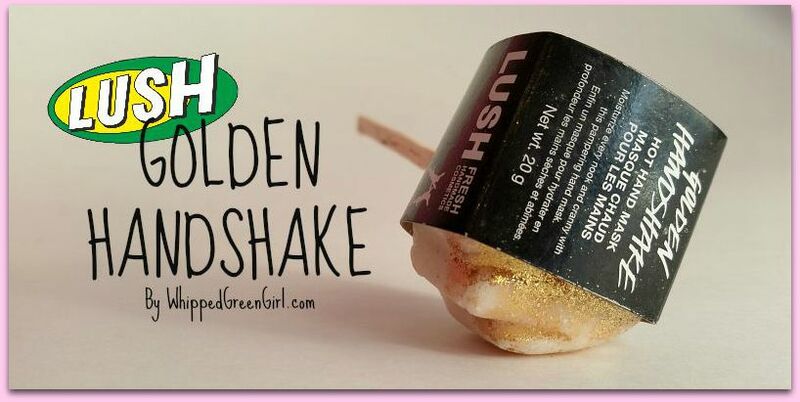 Finding the latest Lush product is as fun as bouncing off marshmallows- so when I saw their latest item on a stick- really it’s on a stick called: Golden Handshake I was sold! 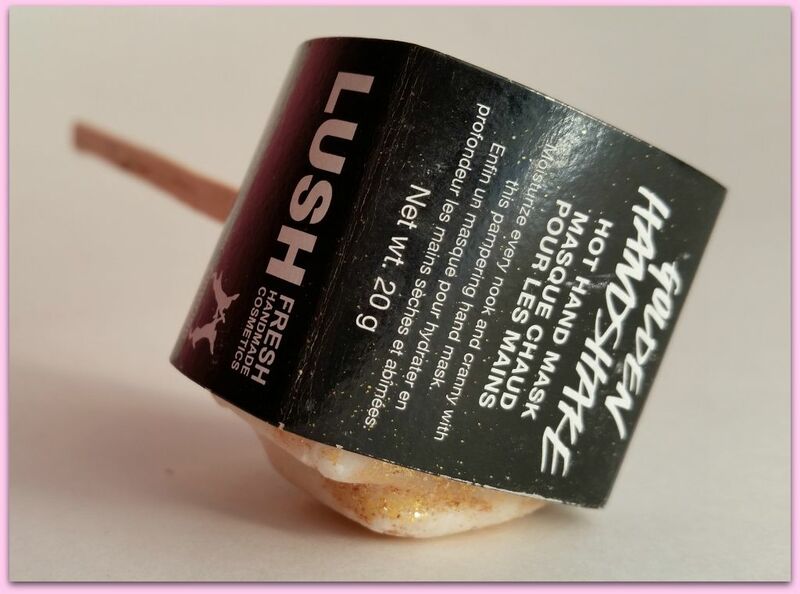 The awesome employee at Lush told me the Golden Handshake was inspired when Lush’s owner travelled to Europe and tasted a treat called “hot chocolate on a stick” – somehow he managed to translate that sweet little snack into a serious pampering treatment for your hands. 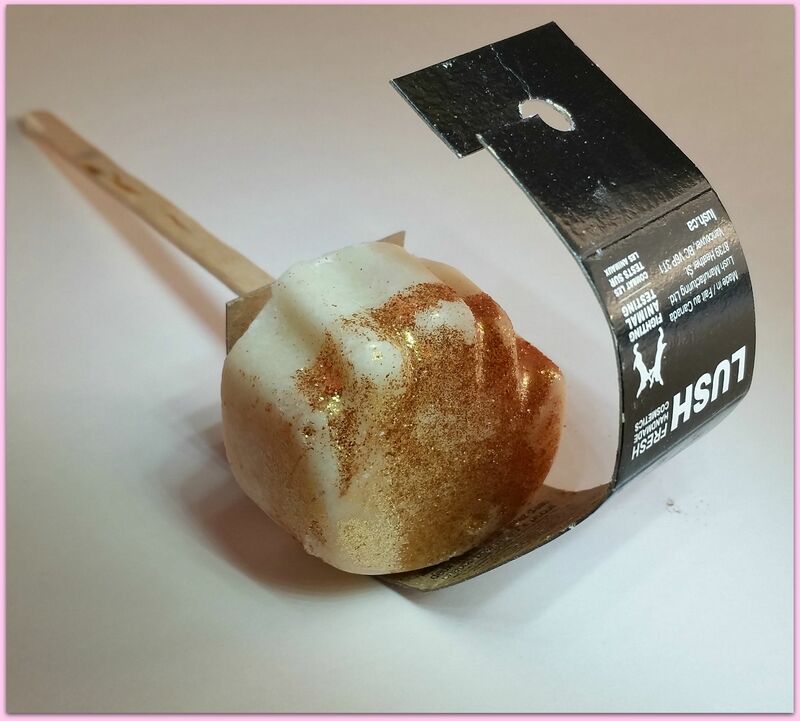 If you know Lush, this product is kind of like a mini massage bar on a stick with a smidgen of golden sparkles on half of it. First, hold the sauce- this thing smells Ah-amazing! It’s like candied flowers, you just want to inhale the little guy. The directions ask that you let the product dissolve in hot water (hence the handy little stick attached to make the whole process a lot easier) Leave your digits in the blend for approx. 15min- rinse off and voila, you have a golden handshake! The Golden Handshake is full of top-notch butters including: cupuaca and murumuru butters! Both are known to soften and pamper skin. Castor, argan and avocado oil are also notable ingredients; they heal skin and keep it moistened- just what tired, overworked hands want. It’s definitely a better and more lasting moisturizing option than just applying basic hand lotion. For a girl’s night-in or after a harsh manicure the Golden Handshake is fun to give a whirl. There’s definitely a few NON-natural ingredients in this product, including perfume. So for anyone with sensitive skin, or eczema on your hands- avoid this product. It won’t serve you well. For a hot hand mask, the final result is definitely softer, sweeter smelling, sparkling digits. For only $5 it’s worth the fun. I know I will be stuffing a few xmas socks with this concoction this year! Another great product we don’t get here ? I never knew they had that! Def gonna check it out!